The Marjory Stoneman Douglas High School Public Safety Commission, voted to recommend legislation to allow teachers to arm themselves on school campuses. The vote passed by the commission, which consists of law enforcement, education and mental health experts, legislators, and the fathers of two students killed in school shooting, with a tally of 13-1 on the 12th of December. It allows volunteer teachers who have undergone extensive background checks and firearms training to carry concealed weapons in the school. Pinellas County Sheriff Bob Gualtieri, chairman of the commission, said that since most deaths in an active shooter situation are caused in the first few minutes of the shooting, an increase in the number of armed responders could bring the death toll down. The sheriff referred to the Parkland shooter who stopped to reload his AR-15 rifle, 5 times during the attack, which would have allowed an armed teacher to engage him. The one vote cast against the measure was thrown by Commissioner Max Schachter whose 14-year-old son was killed by the Parkland shooter. This measure was voted on the same day Scot Peterson’s argument that he did not have a legal obligation to intercede during the shooting, was rejected by a judge. Peterson, the resource officer stationed at the school by Broward Sheriff’s office, is accused of hiding while 17 people were gunned down in the Parkland shooting on Feb. 14th of this year. According to the FBI, armed citizens were successful at stopping an active shooter 94% of the time. 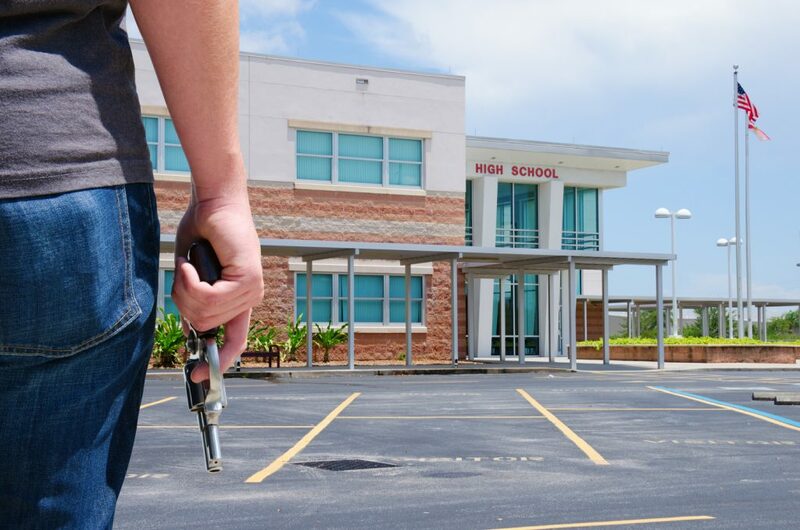 What do you think about armed teachers? Good idea or no? Leave us comment below to let us know. Very detailed..well organized..and passionate instructor. I learned a lot. Kevin was great. We learned bunch of different scenarios. On top of that he talked to class how to load guns what bullets are best for concealing and things not to do when you carrying a firearm he also covered places that you cannot carry firearms. Very youthful helpful I will recommend anybody to go to this class. Well as long as you don’t have a felony. if I can go again I would. Just wanted to drop you a line to say the class Kevin provided was excellent and very informative. Although I have a lot of experience with weapons, my wife does not and we took the class together yesterday. Kevin explained things very well and helped my Wife who was a real novice to understand all the facets of gun ownership and CCW. I will recommend your site and Kevin as an instructor to anyone needing to get their CCW permit in the future. Kevin did a great job at breaking down real world scenarios and situations that you would never think about in claiming self-defense with a weapon. It was really eye opening and I learned so much, definitely worth your time to listen to everything Kevin has to say. I’m glad I did. © 2019 Florida Concealed Carry. All Rights Reserved.